Ninth Street Barking Lot puts your pup first — always. 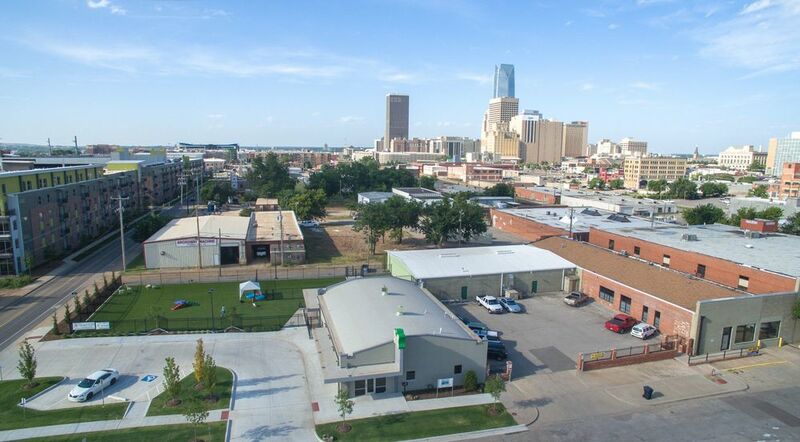 With climate controlled, state-of-the-art facilities, Ninth Street Barking Lot is an urban dog daycare, located in the heart of Oklahoma City. The Barking Lot provides a unique, indoor/outdoor, free flowing, enjoyable experience for dogs and owners alike. We treat your dog like you'd treat your dog — with love, care, and an immense amount of attention. Our customers rest assured knowing that their dogs are enjoying themselves here each and every day. We're located in Automobile Alley, in the heart of Downtown OKC. Our close location to the apartment complexes and major highways makes it easy for all of our customers to get in and out as quick as possible. Unlike other dog daycares, we don't use cages — and we never will. Our goal is to let your pup roam freely, whether it be inside or outside. Our job is to keep your pup happy and comfortable, no matter the weather outside. 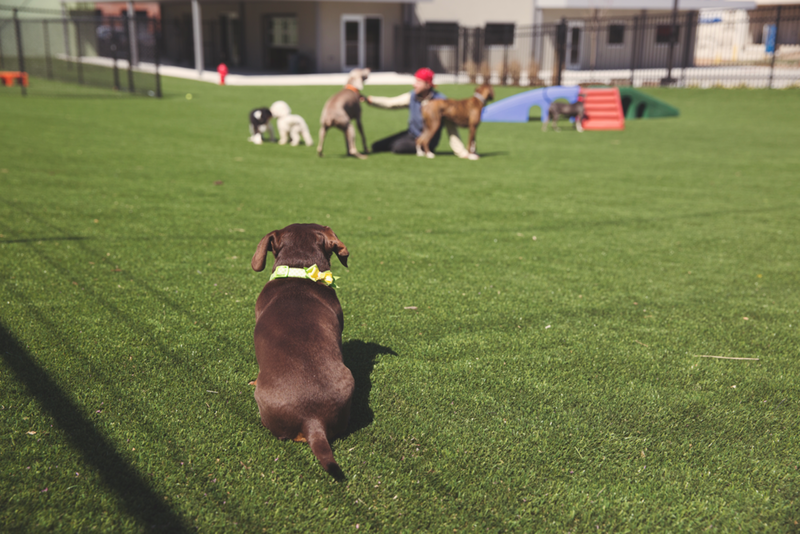 With our state-of-the-art facilities, your dog will be content year round at Ninth Street Barking Lot. We understand the busy lives of dog owners, so we strive to make things easy for you. To speed up the process, you can buy what you need online and pick it up when you pick up your dog!